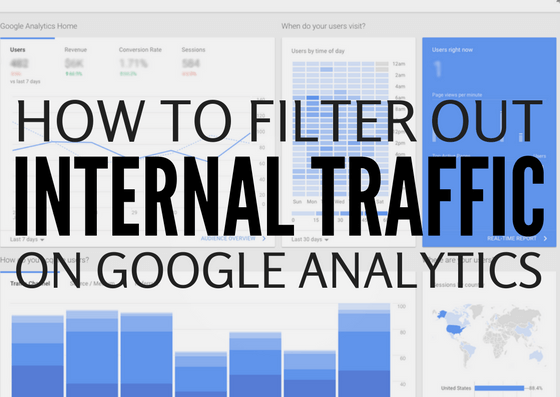 Why Should I Filter Out Internal Traffic on Google Analytics? To start, let’s discuss why we’re using Google Analytics in the first place. Basically, analytics can show us trends and traffic behavior so that we can see how to improve conversions and the overall visitor experience. When anyone visits your site, Google Analytics is there to track how they found the site, the pages they visited, and even whether they bought products or not (among other things). Now when you (or a team of people) are consistently working on your website – editing content, changing fonts, etc. – then you become a big percentage of the visits to your website. This is considered “internal traffic” because it comes from within the company, as opposed to coming from people out there on the vast internet. Essentially, this skews your data. 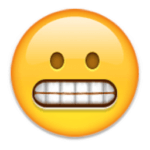 People working on the site are going to act very differently than a casual visitor/customer. They’ll visit more often and jump from page to page like a regular consumer wouldn’t. If your admin behavior is included in your data, your overall insights will get washed out and your web analytics will be far less valuable. 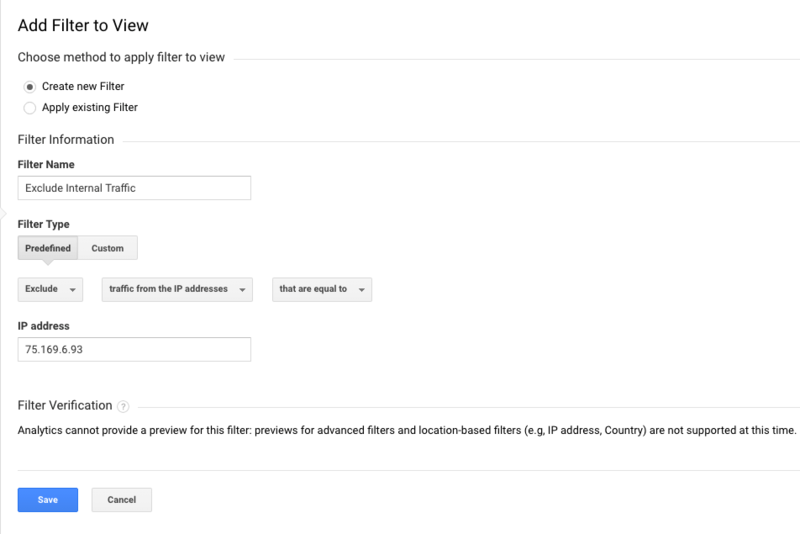 Once you have your IP address, you can exclude it from showing up in analytics. 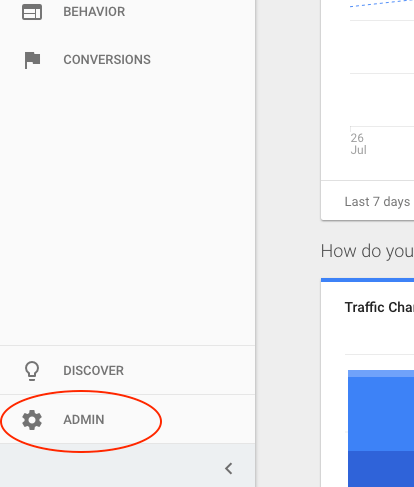 Log in to your Google Analytics account and click on the Admin link shown at the bottom of the column on the left side of the screen. shown in the right column (the VIEW column). Click the red + ADD FILTER button. Keep the Create New Filter option selected and then give the filter a name. I like to call it what it is, for example, “Exclude Internal Traffic”. From the dropdown “Select filter type”, select [Exclude] and then [traffic from the IP addresses] and [that are equal to]. Enter your IP address in the IP address box displayed below. If you’re not sure what your IP address is, just click this link: What’s my IP address? The filter is applied and you’re good to go! **NOTE: It’s always a good idea to have multiple “views” under one “property”. Have one include NO filters to include all internet traffic. That way if anything gets funky when you’re applying filters you can always go back to that view without losing data. How Foolproof is this Method? If you followed these steps, you shouldn’t see any traffic that comes from your office, given that your office has one static IP and not dozens of them. Remember also that if anyone works from home, that traffic will still be recorded. Also, applying filters on Analytics won’t change previous data. So don’t be surprised if there is a sudden dip in site visits after you apply a filter. But remember that in this case, that is a good thing! With internal traffic excluded, you can understand your website visitors so much better and make more informed SEO and website design decisions. Sometimes it’s just easier to have someone else manage all the analytics and SEO (search engine optimization). That’s exactly what Kite Media does. Get in touch with us to see the difference we can make with your business’ online presence.